^It says the video is not available in my country, but I checked another vid and I know the band by name from before. So now I know that a juggalo is a Faygo drinker that dresses up as an insane hiphop clown and worships a band that mixes the worst qualities of hiphop with the most embarassing elements of clowns and the black metal culture. Ugh. 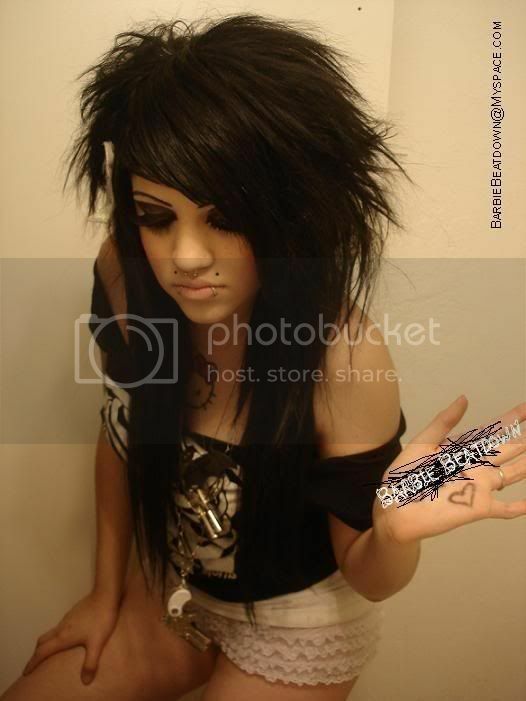 So what's a scene chick? I always took it to mean a scenester, hipster type of girl. Possibly also, someone who is more into looking the part of a particular music subculture than she is into actually listening to the music. But maybe other people here have a different take on it. scene chicks! I had some at my school. They were really gorgeous, but sadly, they smoked. Some people are fine with that, but I think it's repugnant. but in other news! those are definitely good examples. oh and juggalos. yeah, I think everything in this thread is spot on. What I don't get is how they ended up with face paint? Black metal started that whole trend. Last edited by CanwllCorfe; 02-12-2009 at 08:34 PM. Well, Clowns is the obvious answer. What I don't get is how they ended up with face paint? Yeah, where did a band named Insane Clown Posse ever get the idea for facepaint? It's a mystery. Last edited by CanwllCorfe; 02-13-2009 at 12:07 AM. I don't think anyone is claiming that Insane Clown Posse were the first band to wear facepaint (ever heard of KISS or Alice Cooper?). The point is that their whole schtick is to be "insane clowns" and thus the clown facepaint. If you want to see something that the guys from ICP really seem to have derived a lot their ideas from, look no further than the 1988 move Killer Klowns from Outer Space.